Though it seems to be the opposite here in New Jersey, there's no doubt the Spring is in full swing. The Cherry Blossoms have bloomed, we've broken out the sandals on occasion, and we've even fired up the grill once or twice. The warmer weather has brought out all sorts of bees and with the bees come the beautiful flowers. 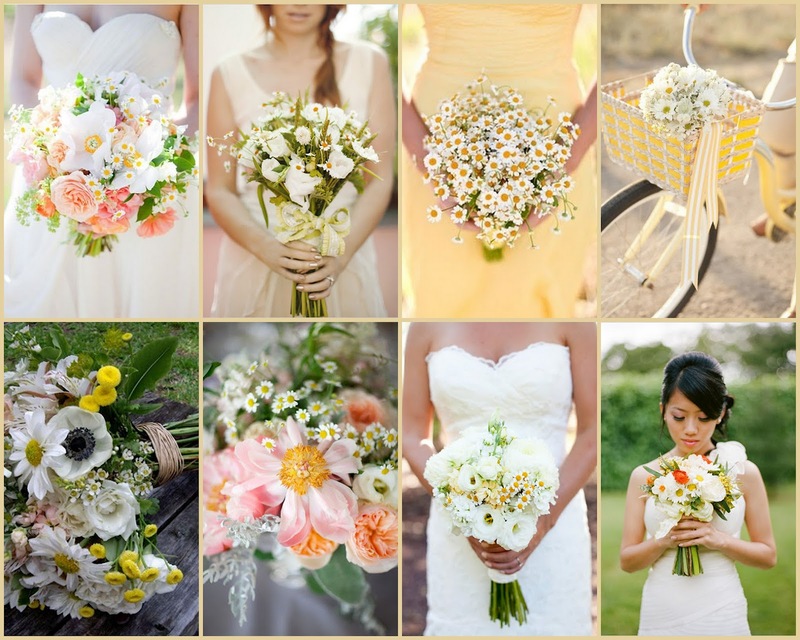 Here's a look at some of the gorgeous spring bouquets out there that feature small daisies. Daisies are youthful and innocent and bring about memories of afternoons of picnics and making crowns of flowers for playing princess. These sweet flowers are perfect for your wedding or just for brightening up your home.